The Presidency on Sunday reacted to the alleged harassment of the People’s Democratic Party (PDP), presidential candidate, Atiku Abubakar, by security agents. 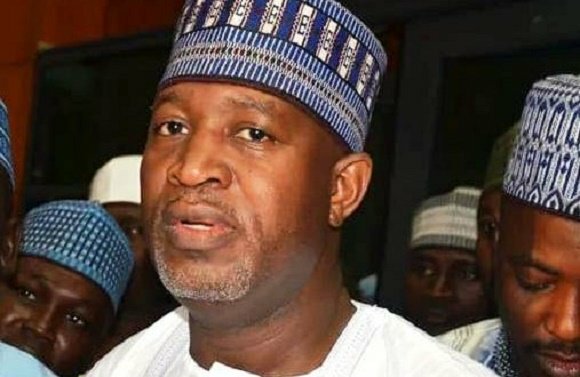 Reacting, the Minister of Aviation, Hadi Sirika, in a series of tweet on Sunday, denied the alleged harassment. Sirika maintained that Atiku’s claim was mischievous as the checks by the security agents was mandatory. He, however, pointed out that the PDP presidential candidate was accorded full respect as expected. The tweets read, “The claim by @atiku is a mischievous attempt to grab the headlines. Nigerians need to know that one of the resolutions of the Atiku team at their recently-concluded Dubai retreat was to embark on scaremongering. This is one of such. Where the aircraft is using the private, charter wing, as the PDP Candidate did, such arrivals are met by a team of the Immìgration, customs and other security agencies. “They go to the arriving aircraft as a team. The airport authorities confirm that this is a routine process, applying to all international arrivals, including Ministers, unless the passenger is the President of Nigeria. “It is also important to state that even in the Presidential Wing of the airport which the President of Nigeria uses, there is the presence of Immigration and other security officials who must stamp his or her passport on arrival. “While it is true that the Task Force on Currency at the airport did the routine action of checking the former Vice President’s travel bag, he was accorded full respect as a former Vice President of Nigeria.